Is it OK for a college to ask a student for a list of all the colleges the student is applying to? Can a student send an enrollment deposit into more than one college? Can a counselor tell a student one college is just plain better than another? These are just some of the issues counselors run into when advising students in the college selection process. Given all that’s at stake, it’s easy to see the need for a set of common rules and standards for counselors, colleges, and families to live by in college admissions, or getting into college would be more chaotic—and expensive—than it is now. This is why the National Association for College Admission Counseling has the NACAC Statement of Principles of Good Practice. Founded in 1937, NACAC is an organization of schools, colleges, companies, and individuals involved in college admissions. NACAC provides a number of services to families and admissions professionals, including NACAC National College Fairs, NACAC Performing and Visual Arts Fairs, and myriad professional training opportunities. While NACAC is a member organization, many view the SPGP to be the ethical standard that should be adhered to by everyone in the college admissions field. The SPGP has three sections. Mandatory Practices are the actions and activities all NACAC members promise to follow. 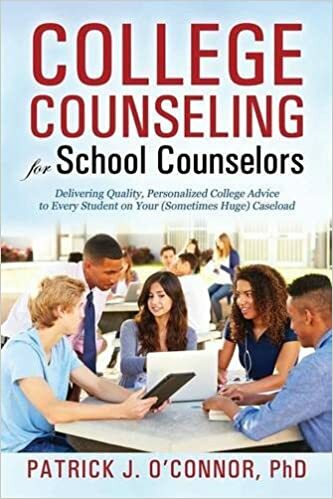 These practices show that counselors may “not use disparaging comparisons of secondary or postsecondary institutions.” It’s fine to talk with students about the qualities two colleges have, and let that analysis serve as its own basis of comparison. Anything beyond that begins to violate the SPGP. Members violating these practices can be referred to NACAC’s Admissions Practices committee, which can take disciplinary action on the member, up to and including removal from NACAC, and lack of access to NACAC’s college fairs. The Interpretations and Monitoring section offers clarifications and explanations of the Mandatory Practices. This section helps members understand the goal of each Mandatory Practice, and often provides examples of appropriate or inappropriate behavior. The third section, Best Practices, includes additional behaviors, policies, and programs members should engage in, in addition to the Mandatory Practices. Since Best Practices are strongly recommended, but not required, members may choose to engage in these activities, but are not obligated to do so, and do not risk NACAC disciplinary action if they choose not to engage in them. This section states colleges should “refrain from asking students where else they have applied”, encouraging colleges not to ask this question, but not making the practice an SPGP violation. What about the student who sends in more than one enrollment deposit? This is covered as a Best Practice, where “Counseling Members should…(c)ounsel students not to submit more than one admission deposit, which indicates their intent to enroll in more than one institution”. It’s important to note that this is a Best Practice, not a Mandatory Practice—and this recommendation affects the counselor, but not the student. Since students and parents aren’t NACAC members, they aren’t subject to discipline by NACAC—but that doesn’t mean families are free to do as they wish. Something as simple as double depositing may seem harmless, but this practice has been known to hurt other students, damage college budgets, and have an indirect effect on tuition. NACAC’s Student Rights and Responsibilities gives families a clear summary of how they should expect to be treated by colleges, and how families should treat colleges in return. With everyone following the letter and the spirit of the SPGP, students are able to make better, well-informed college choices. Patrick O’Connor’s new college guide, College is Yours 2.0, offers a better way to apply to college. It’s available now through Amazon.com, and discounts are available for school group purchases.